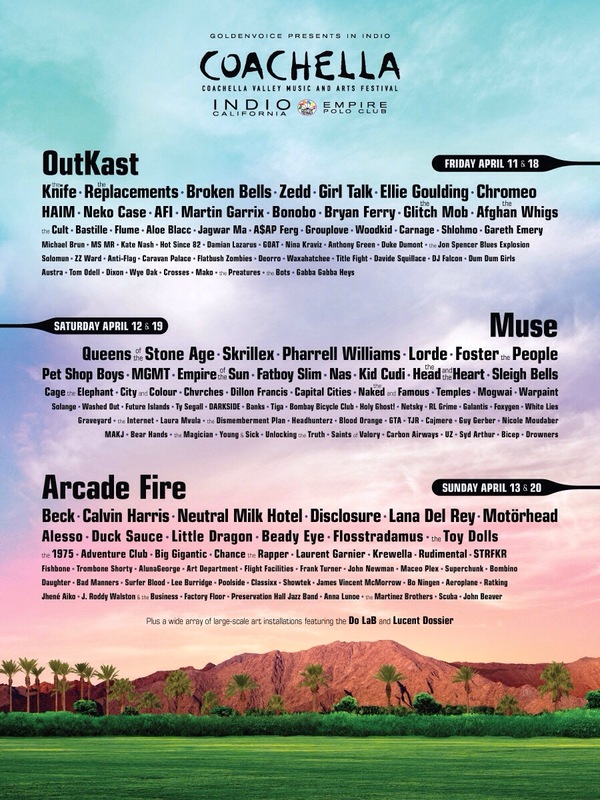 The 2014 Coachella line up and ticket sale dates have finally been announced! The music festival which takes place in Indio, California, USA includes a variety of artist in the line up from different genres of rock, hip-hop, and electronic dance music. Some of this year’s headliners are Muse, Arcade Fire, and the reunion of OutKast. The tickets go on sale January 10th at 10am PST and the festival will once again be 3 days long. You can choose to attend Weekend 1 on April 11, 12, & 13, or Weekend 2 April 18, 19, 20.